Alex Trebek hosted so many CBC shows before Jeopardy! Alex Trebek wasn't always the host of Jeopardy -- and yes, he used to work at CBC. Alex Trebek used to work at CBC. Yes, that is correct — but please, we need that in the form of a question. Before he was the man with all the answers on the long-running U.S. game show Jeopardy!, the Sudbury, Ont.,-born host was a familiar face — and voice — to those who watched and listened to many CBC programs in the 1960s. 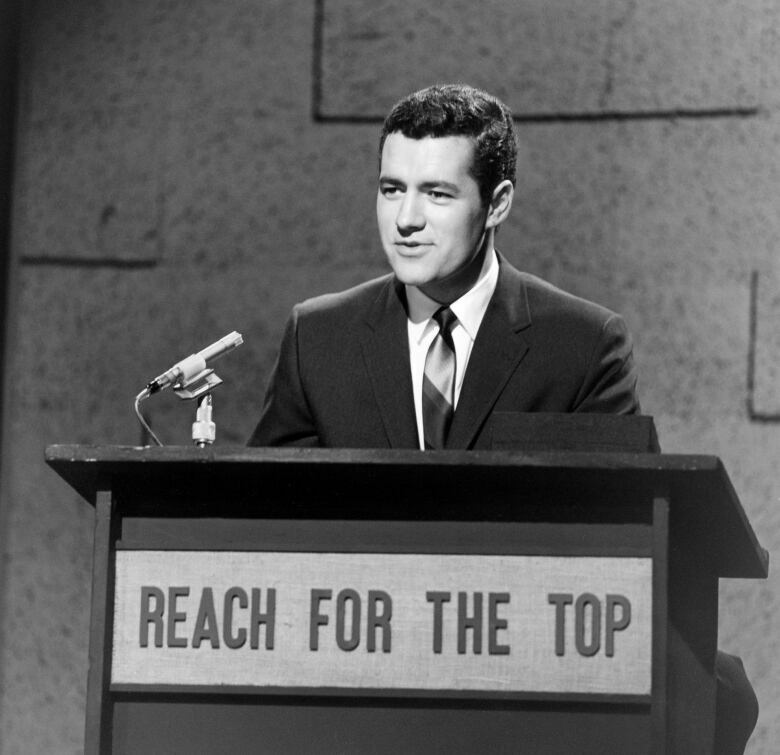 Trebek, who turns 78 on July 22, actually got his start at CBC while he was still a university student in Ottawa, doing some announcing work that led to a permanent job. "I went to school in the mornings and worked at nights," Trebek said, according to CBC-TV publicity materials from January of 1964. "I did everything, at one time replacing every announcer in every possible job." 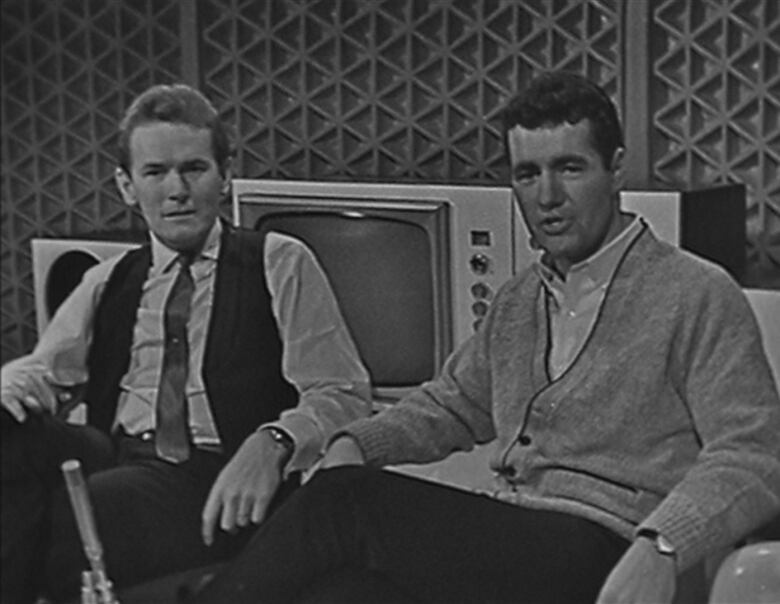 By the mid-1960s, Trebek was the host of Music Hop, a CBC-TV teen dance show that aired for several years, featuring music from Norm Amadio and the Rhythm Rockers, as well as various musical guests. The CBC Times program guide let viewers know that "behind the fresh-faced verve and breezy identification with youth, there's a solid citizen" in Trebek — a university graduate who spoke both French and English. On Music Hop, Trebek would cross paths with an up-and-coming "folksinging guest" named Gordon Lightfoot, leaving CBC with indisputable proof that the two Canadian icons have shared the same stage. During his career at CBC, Trebek was involved in some sports coverage. As a 1972 Globe and Mail profile noted, "[his] experience ranges from acting as host on Swan Lake to the horse races." 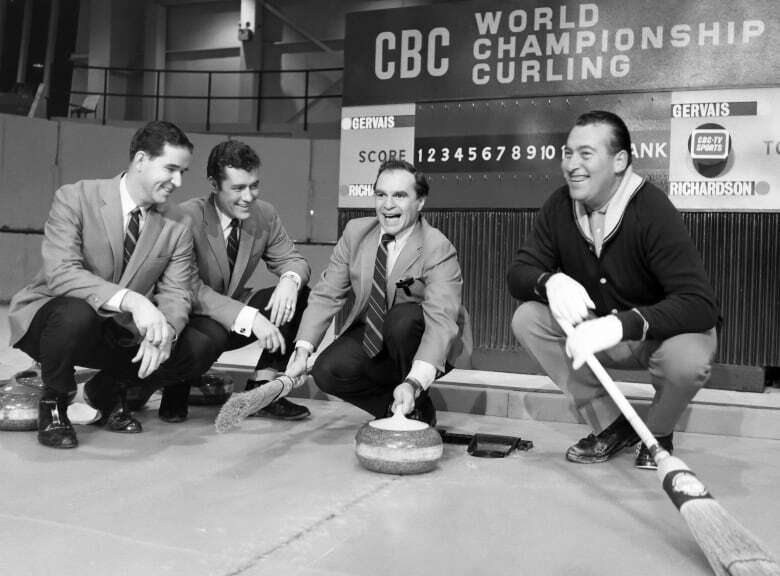 He appeared on Championship Series Saturday and Sports-a-Plenty and he would even cover curling, as shown below. 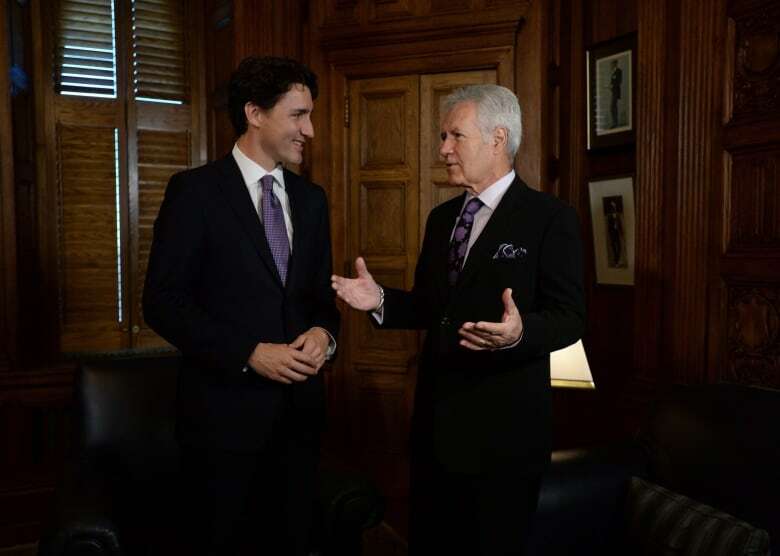 Trebek also hosted quiz and game shows for CBC, which makes you wonder how much his experience in Canada helped prepare him for his current Jeopardy! work. While many people know he hosted the high-school quiz show Reach for the Top, Trebek also hosted a show called Strategy, which began airing in the spring of 1969. According to surviving publicity materials, the show was to air on weekdays. Pairs of contestants standing on a circular board worked their way to Trebek, who stood at the centre. "The first pair to reach the center wins valuable merchandise," a March 12, 1969, press release says, without elaborating on what the merchandise was. A Globe and Mail story about the show from April 26, 1969 told readers that "once you've won your clothes dryer or your freezer," there were no further playoffs or games to play. "The only way left to participate in Strategy [at that point] is as a member of the audience. A surprisingly large number of people do exactly that." Trebek, as TV viewers know, went on to take the host job at Jeopardy! that he still holds today. He's been there for more than 30 years, asking questions, bantering with contestants and seeing winning streaks start and finish. His long run on the quiz show has seen him set a record for the most such shows hosted by the same presenter. Amid his success in the United States, Trebek has kept up his ties to his home country. He became an officer of the Order of Canada last year.